It’s mid-October and the temperature is FINALLY beginning to drop. I love waking up in the mornings, having my first cup of coffee, and enjoying the cool weather. 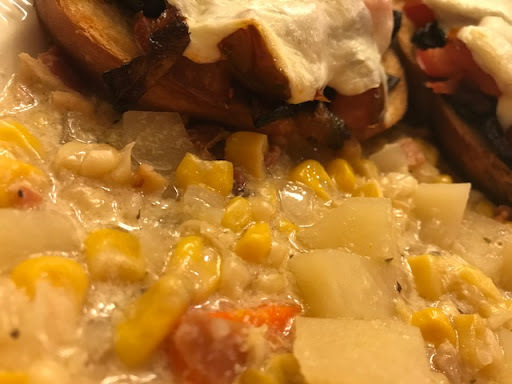 I also love soups and chowders and autumn is the perfect time of year to start serving them. This is one of our favorites. 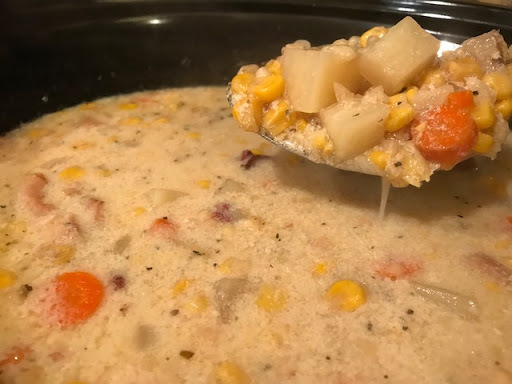 Add all ingredients except the milk, corn starch, and butter, to the crock-pot and cook on low heat for 7-8 hours until veggies are tender. 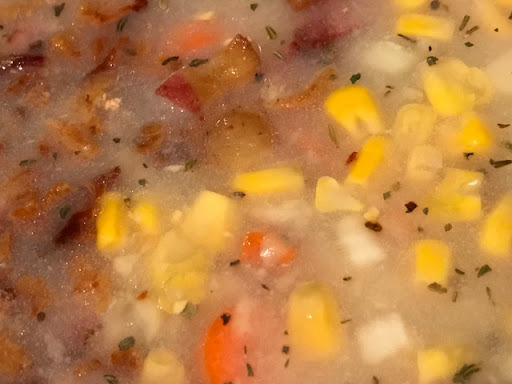 About 30 minutes before serving, mix the corn starch with the milk and add to the chowder, along with the butter. This is what gives it the creamy texture you want for a chowder. I will admit, this wasn’t as “thick” as I would have liked, but it was delicious! I’ll add an extra teaspoon of corn starch the next time.